I have happy news to share. 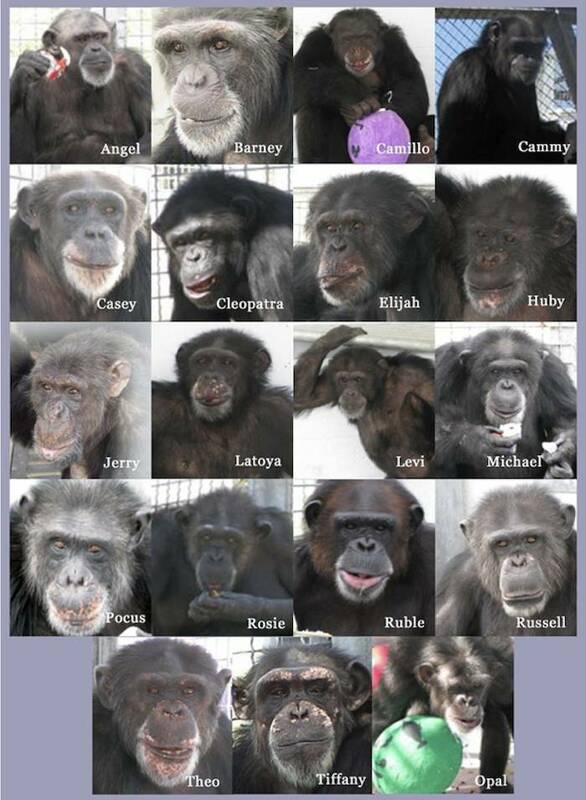 Last week, after decades in research facilities, 19 chimpanzees arrived at Chimp Haven sanctuary in Louisiana. They will be able to climb trees and lounge in grass—some of them for the first time in their lives. Among the group of 19 is Rosie, who was born into captivity in 1981. At less than 8 months old, Rosie was taken from her mother, and at just 15 months old she was shipped to a laboratory in New Mexico. Over the next 18 years, Rosie was anesthetized or knocked unconscious by a dart gun 99 times, she was infected with hepatitis C, and she underwent 15 liver biopsies. The Physicians Committee obtained Rosie's medical records from the National Institutes of Health (NIH) and hired an expert veterinarian to analyze the documents. Her story became the focal point of national media coverage regarding the plight of chimpanzees in laboratories. While the ethical problems were clear, the use of chimpanzees in infectious disease and other experiments was also a scientific failure. This dual argument was why the Physicians Committee and others worked tirelessly for years to end the use of chimpanzees in laboratory experiments. Finally, in 2015, the director of NIH announced that the agency would no longer fund chimpanzee experiments and retire all remaining federally owned chimpanzees. If they could, I know all the chimpanzees would want to thank you and all the other Physicians Committee supporters. The petitions signed, phone calls made, and donations given all helped make this happen. Rosie and the other 18 are the latest group of chimpanzees to reach a sanctuary. They finally have relief from years of suffering and confinement. Thank you for your support of the Physicians Committee as we work to modernize science and get even more animals out of laboratories.